Table Tennis Glossary: What is a Let? Getting good at ping-pong? You may have a natural talent and basic knowledge of the game, but serious players should become familiar with the industry terms associated with the game. For instance, what is the definition of a "let" or a "lob" in ping-pong? Read on to explore some common terms that are common in the game. Bat: A bat is another reference to the ping-pong paddle or racquet. Backspin: This refers to a spin used on defensive shots, which involves chopping down on the ball and moving the bottom of the ball away from you. Chop: A chop is a defensive stroke that returns a topspin that is played with backspin. Chopper: This is a style of play when a player primarily chops the ball. 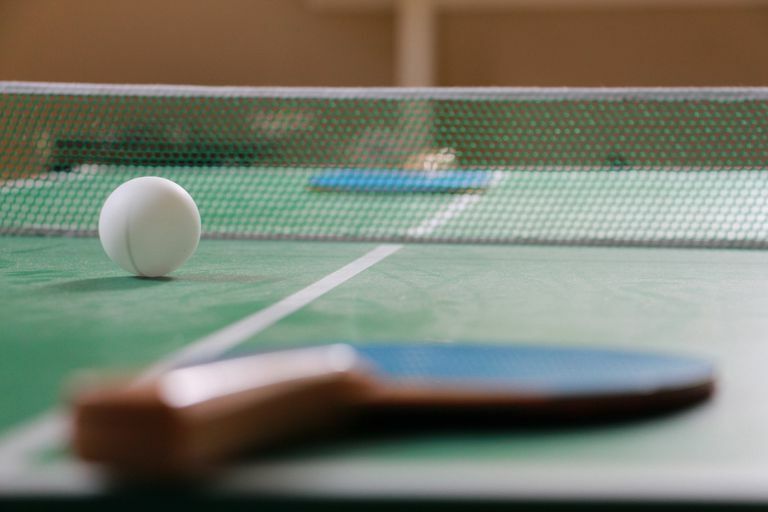 Fault: A fault in table tennis is the failure of the server to make a good service according to the Laws of Table Tennis. Double bounce: If the ball bounces twice on one side of the table without a return, the player loses a point. Let: This is a rally when the result is not scored. This can occur if the ball hits the net assembly during a serve before touching the opponent's court, or if an umpire interrupts a play. This can also occur if a player serves before the opponent is ready so long as the opponent doesn't try to hit the ball.